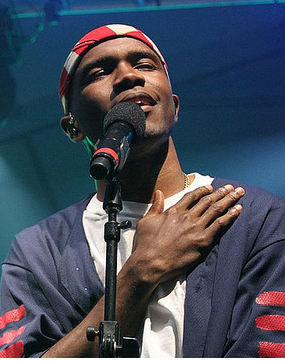 Frank Ocean may just be 2012′s best new artist; the young R&B singer started his career ghostwriting for singers such as Justin Bieber, John Legend and Brandy. Now it’s Ocean’s turn to step into the light and shine like no other in the business. Not only did he drop his first album titled channel ORANGE, but he also opened up about his sexuality. He’s the first African American male Hip-Hop/R&B singer to express his interest in men. His voice has been compared to that of Maxwell’s; a strong yet smooth falsetto combined with his live-in-the-moment lyrics have proven his ability as a songwriter. Due to such accomplishments, he and rapper Rick Ross will pen lyrics to several songs on the Django Unchained soundtrack. We’ve seen several trailers and posters for Quentin Tarantino‘s spaghetti western, but there’s been little detail about the film’s soundtrack. Any Tarantino fan will tell you that music has always been an integral part to his story telling process. From David Bowie’s “Putting Out Fire with Gasoline” in Inglorious Bastards to The Delfonic’s “(Didn’t I) Blow Your Mind This Time” in Jackie Brown, every track makes for a memorable scene. And the OST for Django will be no different. Having Frank Ocean write a new song will fill any gaps musically as his inclusion is a bit more contemporary. The track lists in Tarantino’s films usually don’t touch anything after the ’70s and ’80s; the man loves his oldies. Nothing wrong with that. No one knows for sure whether or not Tarantino will use either song for the Django Unchained soundtrack; he may very well stick with a more classic soul sound, but it’s been revealed that the tracks are heavy in hip-hop, funk and blues — an appropriate combination for a revenge film set during the days of slavery. Stay tuned as the Django Unchained soundtrack will drop days before the film’s December 25th release date.